Research institutions are under pressure to make their outputs more accessible in order to meet funding requirements and policy guidelines. Libraries have traditionally played an important role by exposing research output through a predominantly institution-based digital repository, with an emphasis on storing published works. New publishing paradigms are emerging that include research data, huge volumes of which are being generated globally. Repositories are the natural home for managing, storing and describing institutional research content. New Content in Digital Repositories explores the diversity of content types being stored in digital repositories with a focus on research data, creative works, and the interesting challenges they pose. 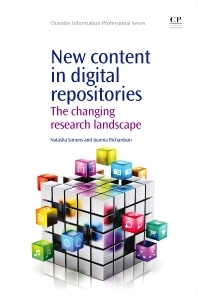 Chapters in this title cover: new content types in repositories; developing and training repository teams; metadata schemas and standards for diverse resources; persistent identifiers for research data and authors; research data: the new gold; exposing and sharing repository content; selecting repository software; repository statistics and altmetrics. Natasha Simons is a Senior Data Management Specialist with the Australian National Data Service based at Griffith University. Prior to her current role, she was a Senior Project Manager in the eResearch Services unit at Griffith and managed several projects that built technical infrastructure to support the university’s researchers. She is also a librarian and spent eight years working at the National Library of Australia in Canberra prior to working at Griffith. 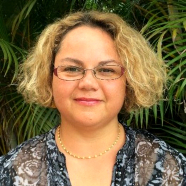 Natasha is a member of the Council of Australian University Librarians Research Advisory Committee and enjoys contributing back to her profession by participating in conferences, workshops, online discussions and formal publications. Joanna Richardson is Library Strategy Adviser in the Division of Information Services at Griffith University, Brisbane, Australia. Previously she was responsible for scholarly content and discovery services including repositories, procurement, research publications and resource discovery. Joanna has also worked as an Information Technology Librarian in university libraries in both North America and Australia, and has been a lecturer in library and information science. Recent publications have been centred on resource discovery and research data management frameworks.